Designed in 1934 to fit the restrictions of the Washington Naval Treaty, Ark Royal was built by Cammell Laird and Company Ltd. at Birkenhead, England, and completed in November 1938. Her design differed from previous aircraft carriers. Ark Royal was the first ship on which the hangars and flight deck were an integral part of the hull, instead of an add-on or part of the superstructure. Designed to carry a large number of aircraft, she had two hangar deck levels. She served during a period that first saw the extensive use of naval air power; a number of carrier tactics were developed and refined aboard Ark Royal. Ark Royal served in some of the most active naval theatres of the Second World War. She was involved in the first aerial and U-boat kills of the war, operations off Norway, the search for the German battleship Bismarck, and the Malta Convoys. Ark Royal survived several near misses and gained a reputation as a 'lucky ship'. The Germans incorrectly reported her as sunk on multiple occasions. She was torpedoed on 13 November 1941 by the German submarine U-81 and sank the following day. Her sinking was the subject of several inquiries; investigators were keen to know how the carrier was lost, in spite of efforts to save the ship and tow her to the naval base at Gibraltar. They found that several design flaws contributed to the loss, which were rectified in new British carriers. The Aoshima HMS Ark Royal is a newly tooled release from 2015. The kit represents the Ark Royal in 1941 and it consists of 11 trees (three are doubled) and is nicely and cleanly molded. This is the flight deck and waterline plate. The arrestor cables and wind breaks are molded into the flight deck. The detail is crisp although a little over scale. This sprue represents the second level elevator/hangar deck to place under the opening in the flight deck. There are no provisions in the kit to make a full hangar deck. Two of these sprues supply the ship’s boats. This sprue contains the island/funnel, masts, and island weapons platforms. The detail on these is very good, but could benefit from some photo etched doors. This sprue contains the weapons, paravanes, rafts, searchlights, antenna masts, and various other small parts. The parts seem a little over scale, but there are several aftermarket options available if the builder chooses to replace them. Labeled on the Sprue as Sprue G are some of the aircraft for the kit. You get two each of: Fairey Swordfish (wings folded), Blackburn Roc, Fairey Fulmar, and a Supermarine Walrus. Sprue J is a deck around the front of the bridge. (I call it Sprue Z) is another Sprue of aircraft. You get four each: Fairey Swordfish, F4F Wildcat, F4U Corsair, and Supermarine Seafire. The kit includes one sheet of decals of British Roundels, flags, and flight deck stripes. The instructions are relatively clear and easy to understand, except that they are mostly in Japanese. I am unsure if an English version has been included in newer kits. The kit looks great and I am sure it is a welcome addition to British model building enthusiasts. 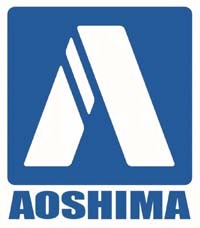 I currently do not know of any aftermarket sets dedicated to the Aoshima kit, but there will be in time I'm sure. I would definitely recommend this kit. Thanks to Aoshima for the review sample.